Upgraded the cpu to ryzen 2700x and same happend. Then i upgraded the motherboard to gigabyte X470 AORUS ULTRA GAMING. El equipo se reinició después de una comprobación de errores. La comprobación de errores fue: 0x0000001a (0x0000000000041790, 0xffff898003103950, 0x0000000000000000, 0x0000000000000001). Se guardó un volcado en: C:\Windows\MEMORY.DMP. Id. de informe: a1ee51a7-4654-45c8-ad3b-9e2176f96502. Memory i used on both systems. Anybody can help me to read the memory.dmp file? if somebody could help me to read the memory.dmp..
What Motherboard BIOS version are you using? Please check to see if your memory is mentioned on the QVL list and at what speed and configuration it has been validated at. Hello matt, they are not on the list but im gonna buy G-skill flare-x and try out. Hello. My memory is on the QVL list. I have the same problem with Ryzen 2700 and gigabyte X470 AORUS ULTRA GAMING. superka, I have DLed you minidump and will take a look, but we need a better description of your system. See the posting rules but tell us quickly what power supply you have? Thanks and enjoy, John. I will change the memory in 5 days for g-skill flaren-x 3200mhz samsung b-die. Thanks for the help Misterj hope its just the memory. Thanks, superka. The minidump has no real data to help. Google says remove and replace all parts - you have done this, I think. I, like the others suspect the memory. When we see all your parts, we can decide on the PS capacity. I started my Ryzen trip with an R7 1800X and used a 750 Watt PS - I am high on lots of power. I am not familiar with the 2700X power requirement but 650 Watts is probably OK. If you have any temperatures and voltages to share, please do. Have you tried running memtest86? If not please do, or type mdsched.exe into a command prompt and let W10 test memory. Try one memory stick in the A1 slot. If it works, then try the other in the A1 slot. Do this with both sticks and all slots until you have a failure (hopefully). This way you should be able to chase it down to a bad stick or a bad slot. I think I am probably running the same B-die memory you have ordered in my 1950X - all OK. Enjoy, John. The only thing i didn't change are the harddrives psu and gpu. HDD's: Samsung evo 960, samsung pro 950, the rest 4tb's of WD reds and the last one 8tb red. When you reused the hard drive, did you do a clean install of windows or did you just transfer the drive to the new system with windows already installed? fresh install, i did it 3 times already. With windows server 2012, windows 8.1 and the last one windows 10 and always the same problem. I will post again later. Thanks and enjoy, John. Do you really think can be the power supply? Im using an UPS for this computer, and the power consumicion never exceeds 180w even with the cpu at 100%. "An arc-fault circuit interrupter (AFCI) is a circuit breaker that breaks the circuit when it detects an electric arc in the circuit it protects to prevent electrical fires." users were seeing interruptions due to electrical noise from the PC switching PSs. 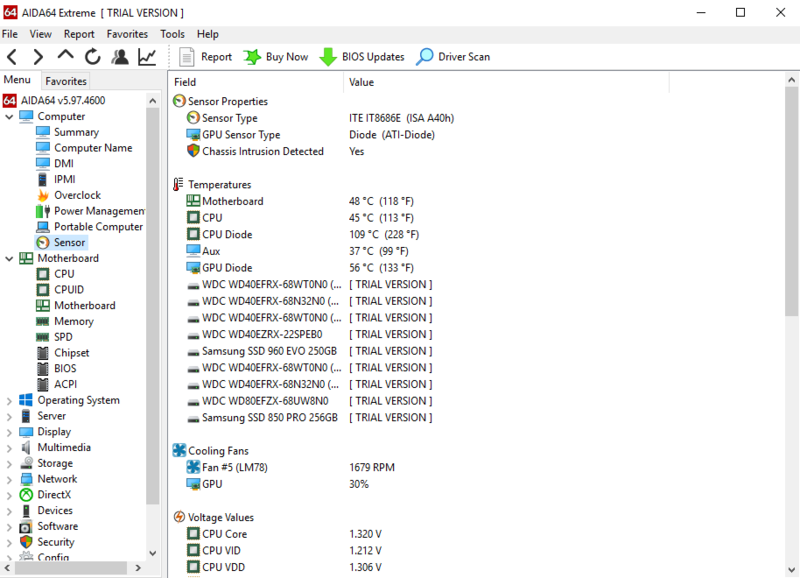 What is the TDP rating of your processor? An application called AIDA64 provides lots of power information. It is paid but offers a free trial. You could try that. Here is a memory slot problem diagnostic procedure: Place one stick of memory in A1 and run for a while, if OK move to A2 and all slots. If you fail on a slot, try another stick in that slot. Hopefully you will be able ID a bad slot. I had a hang problem on my 1800X that turned out to be slots A1 and A2. A new board fixed it. Do you have two or four sticks of memory? What slots are they in? 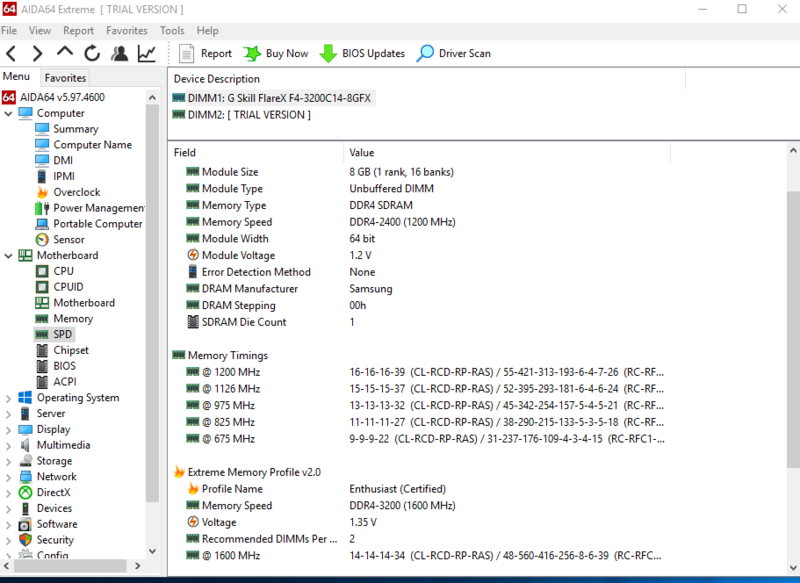 To display AMD drivers: Open Settings-Apps, find AMD Software and click Modify. A dialog will display (takes a few seconds). Take a screenshot and stick it here - close the dialog and don'd modify anything. Thanks, superka. I don't think I need anything else. Please run the memory slot test and let me hear. Make sure all your UEFI settings are default and no XMP profile running. Your drivers look OK. Just remember to get all AMD drivers from the AMD Support page. Thanks and enjoy, John. I measured the current (AC current probe) on my system and see about 120 Watts during boot and 280 Watts with CPU at 100% using Prime95. AIDA64 showed 180Watts. Changed the power supply for another one (corsair CX550) and its working really well. Great, superka! I sticking with my oversized power supplies. Enjoy, John. The problem just happened again. 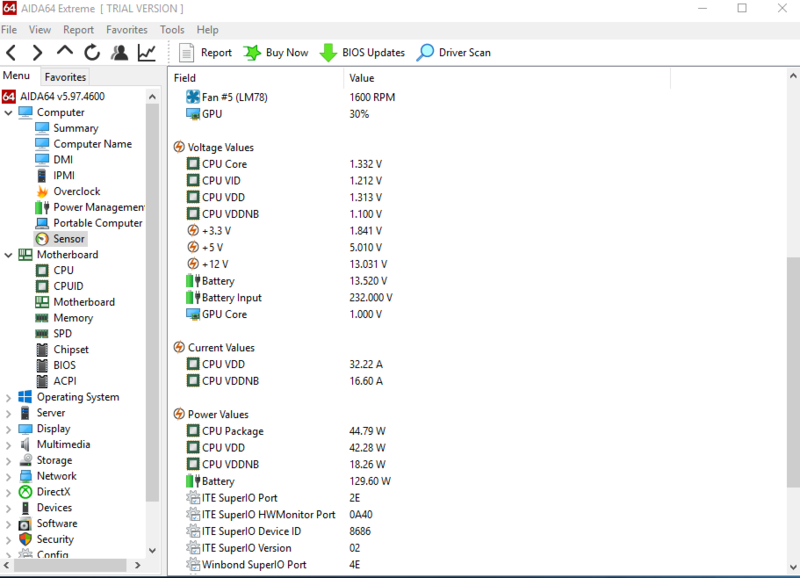 My gaming computer with my server power supply is working fine with overclock and with gtx1070 (using 550w too) so i don't think its a power supply problem. The only hardware left to test are 2 mechanical disks and the samsung 960 evo, This is driving me crazy. I'm gonna buy samsung evo 970 and replace all the sata cables from the harddrives. superka, please tell us exactly what happened - hang, crash, BSOD or whatever. If your "C:\Windows\Minidump" folder has any files in it, please compress it and attach it to your thread. Thanks and enjoy, John. Browsing over RDP or html5 rdp web based software in to my server and the screen just freeze,and all the services from the server crash. After 2-3 minutes i can connect again and the profile load all the programs and software again, eventviewer shows kernel power error. Thanks, superka. I am confused about what is running on what and what is crashing. The machine that crashed is running what OS and what PS? The Server is running what OS and what PS and not crashing? Or are both running on the same machine? Are any VMs involved? What is your OC? I suspect you can guess what I am going to suggest. Can you at least borrow a 750 Watt power supply? I have to leave in a few minutes and may not respond till tomorrow. Thanks and enjoy, John. the computer that is crashing is my home server , it have plugged an psu cable and ethernet. Now it has inside a windows10 without any vm. I will try a better psu wattage as soon as i can for sure. Thanks, superka. Please let us hear the results. Enjoy, John. Hi misterj, and hi everbody. What i did after is to close all monitoring programs (hwinfo, cristaldiskinfo) that were runing 24x7h. no more restarts for almost 3 weeks. superka, weird but great! Hope it hangs. Enjoy, John. The last hw change was the SSD for samsung 970 pro 512gb. Really i don't know what to do more. Can we star again with some tests?